Rebecca's life is food and her enthusiasm is very evident. She has already spent time with some of South Africa’s great foodies such as Margot Janse, Martinus Ferriera, Jenny Morris and Justin Bonello. Gordon Ramsay is also on her list, and she helped Jamie Oliver with his food revolution movement in this country. Rebecca is the perfect example of grasping all you can from the experts – and you can start doing this no matter your age. She is sharing her bobotie recipe. A close-knit family, Granny Iris would make this dish to celebrate her son’s visits from the army, and it became a family favourite. 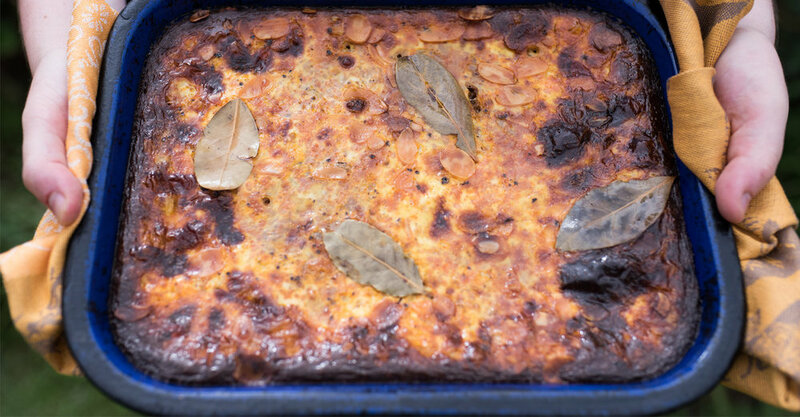 “Bobotie is a typical Cape Malay dish with an egg custard topping. My gran would make it using mutton mince and later changed to half mutton and half beef because of the expense factor. I now use pure beef and find that a fattier mince works best for the flavour that one gets,” Rebecca explains. This was my first choice because I knew the standards would be high. To get a full understanding of the industry – the science and theory behind cooking. Working hard. An open mind to learning will improve my knowledge. To combine what I learn with the health industry. George Calombaris and Marco Pierre White. A trifle – each layer representing a side of me. Anything that involves discovering more about myself. Bland dishes – there’s no thought behind them.